The hero to whom we dedicate this day. He is the Father of the Philippine Revolution. He was the first Filipino hero that I really came to know. He is, perhaps, the sole Filipino hero who I know is very simple–possessing no lavishes or special skills and intelligence like in other heroes. He is plain, raw, and great. Another Rogue|Hero. Above image was copied from here. 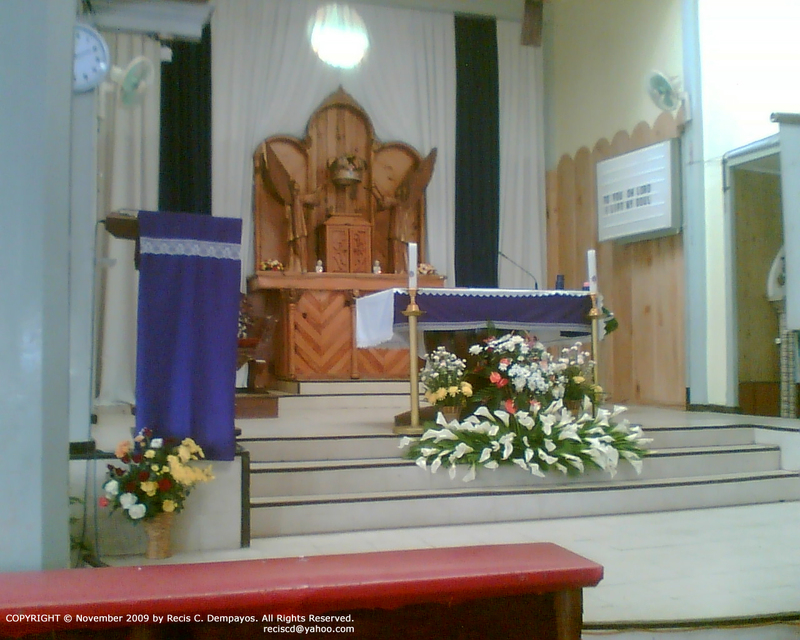 My mom and I went to church this morning and I was enthralled to see our Parish’s altar draped in violet. These embellishments reminded me of that one occasion celebrated in the church in line with the coming Christmas season: Advent. The San Jose Parish Church in La Trinidad, Benguet is now set for the Advent season. The season of Advent, in Christendom, “is a four-week period of active waiting and preparation for the coming of the Lord.” For the first two weeks, it focuses on GOD’s glorious arrival on Judgment Day. The next two weeks, on the other hand, focus on the birth of Jesus Christ. The first Sunday in this period is called “Advent Sunday,” which marks the actual start of Advent. It is exactly four Sundays just before Christmas. It is also the point on which the Christian ecclesiastical year begins. Currently, our new cycle is Year C. So… happy new yea… HAPPY NEW ECCLESIASTICAL YEAR!!! MARANATHA!!! 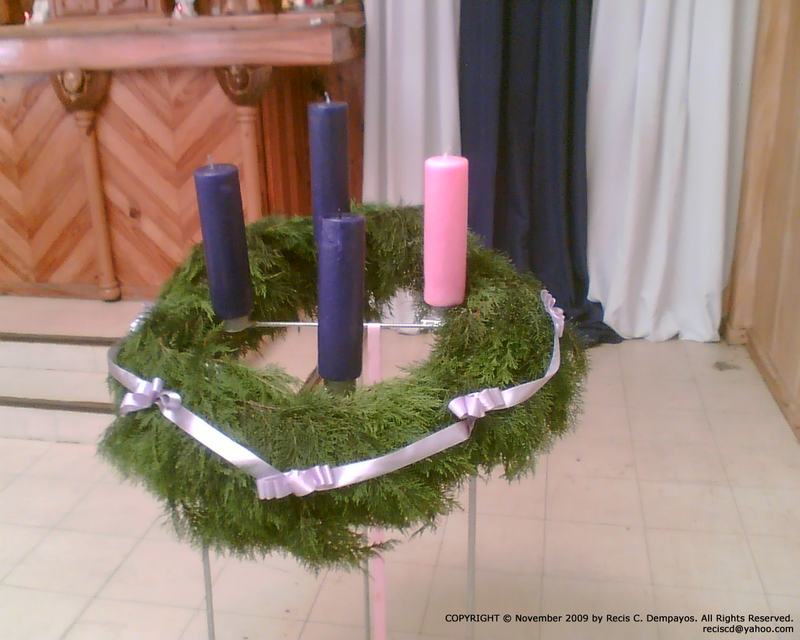 One Advent candle is lit for every Sunday of the period, which culminates up to Christmas. Maranatha means "Our LORD, come!" 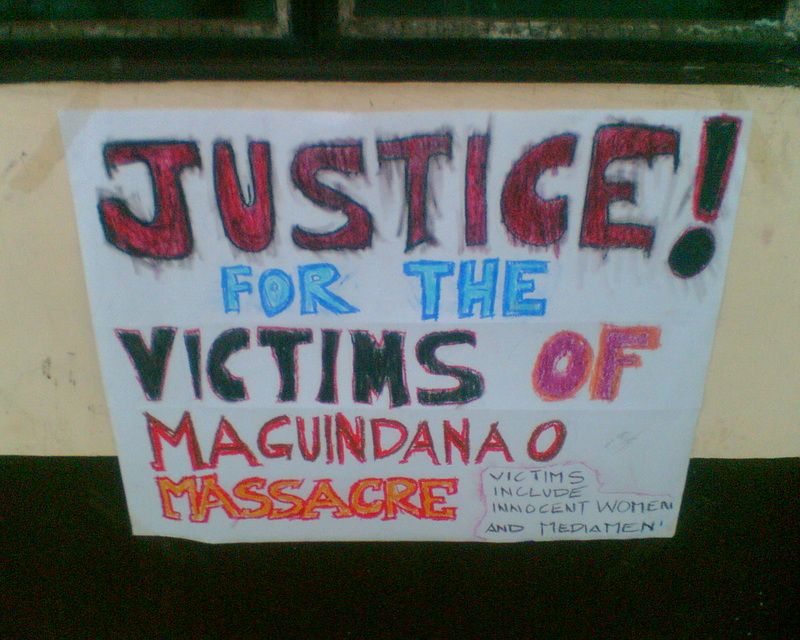 Earlier this morning at 7:00 AM, numerous members of mass media, like television and radio, have gone off the air for one minute as a sign of mourning for the journalists who were among the victims in the Maguindanao massacre. I don’t know with the Pinoy blogosphere—can you put off blogging for one minute at a certain time? Sorry, just trying to elicit a light moment despite this dark period in Philippine history. As I was going around the Pinoy blogosphere, I came across this prayer brigade (through Callcenterguy’s blog) that aspires for GOD’s guidance in choosing the right successive Philippine President. I had to pitch in and so, here is my prayer. I fashioned it in the style that our high school counselor taught us on how to make a prayer: First, praise GOD. Second, give thanks. Third, ask for forgiveness. Fourth, pray for someone. Lastly, pray for yourself. I Saw It, At Last! Finally, I got to watch Disney’s latest 3D animated flick, A Christmas Carol, which stars Jim Carrey as the voice of the protagonist, Ebenezer Scrooge. As this movie is obviously based entirely on the Charles Dickens Christmas classic novella, I will not delve into the story. Go read the book. I find it a must to do so in order to comprehend the movie. If you go into the story of A Christmas Carol for the first time through the film, you will not understand it and you may be disappointed for paying so much just to see it. The language is in the old British-style English and, knowing Filipinos’ comprehension of this type of spoken English, you might never get to understand the dialogue. This is not to mock every Pinoy; take it from me, because while watching, I wasn’t entirely listening to what the characters were saying. I was just engrossed in the visuals and relied on what I have read on the story for the script. Basically, it is essential to read the text first and formulate your visual interpretation in your own head. Continue reading I Saw It, At Last! Posted on 2009 November 26 2012 September 2 Categories Movies and ShowsTags 3D animation, A Christmas Carol, Charles Dickens, digital 3D movies, Disney, Disney Digital 3D, Ebenezer Scrooge, Jim Carrey, Walt Disney, Walt Disney Pictures6 Comments on I Saw It, At Last!